Secret Assassin's Creed Projects in the Works? Assassin's Creed is branching out of games and exploring the world of comics, as well as another super-secret project. 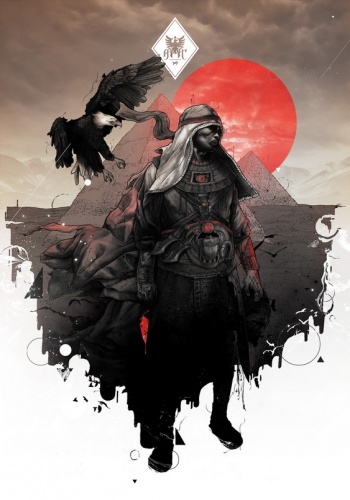 Chances are good that Eisner award nominee comic book writer/artist Cameron Stewart and artist Karl Kerschl are working on an Assassin's Creed comic book. A "slip" on Twitter revealed the @UbiWorkshop feed and a secret project the pair were working on. Then, later on in a post on his blog, Stewart said that he was working on "an upcoming new comic series based on an immensely popular property". Even more interestingly, nearly a full day later, the @UbiWorkshop account threw out a link to a site with the artwork you see to your right, which was done by the artist Gabz. This piece, is not to do with the Cameron/Kerschl project, and is something totally different. So we have two projects, both with artists attached and a brand new Twitter feed to follow. Nothing has been confirmed yet, and it's possible that Cameron and Kerschl are working on a Ubisoft property other than Assassin's Creed, but the only way to know for sure is to keep watching the tweets.